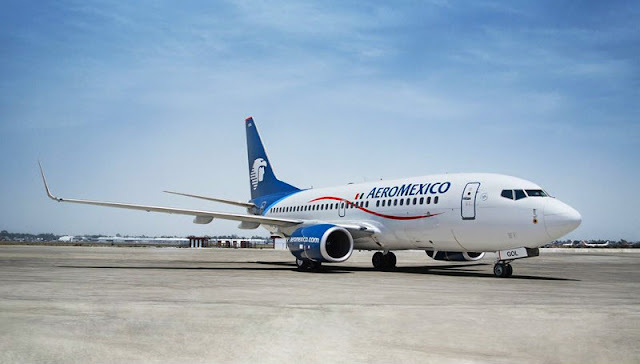 The new route offers travelers increased connectivity through Aeromexico’s network within the country, as well as to North, Central and South America. Starting on November 2nd, Aeromexico will once again deliver their daily 6 a.m. flights on the PVR-MEX route, and the 7 a.m. flights on their MEX-PVR route with arrivals and departures at Puerto Vallarta’s “Lic. Gustavo Díaz Ordaz” International Airport, which connects travelers to the Riviera Nayarit. The overnight flight offers travelers increased connectivity through Aeromexico’s network within the country, as well as to select cities in North America such as New York, plus Bogotá, Colombia and Buenos Aires, Argentina, in Central and South America, respectively. This is a very convenient flight for domestic travelers as well, as it allows them to fly to the Puerto Vallarta-Riviera Nayarit area early in the morning, enjoy a weekend stay and return on an another early flight to Mexico City, which is why company executives saw the possibilities of this operation. This, according to Juan Carlos Benavides, District Manager for Aeroméxico, who added that the company expects a positive result with the new route thanks to its convenient schedule. The daily flight will be operated on Embraer 175 craft with departures from Puerto Vallarta to Mexico City at 6:00, 8:40, 12:31, 14:26 and 18:51 hrs. The flights from Mexico City to Puerto Vallarta will depart at 7:00, 10:25, 12:35, 17:05 and 20:15 hrs. An additional season flight is also programmed, which will begin operations on December 15, 2017 and will continue through January 15, 2018, effectively covering the tourist high season. Marc Murphy, Managing Director of the Riviera Nayarit Convention and Visitors Bureau, was very pleased with the news, considering that Mexico City is the second city of origin in number of visitors to the destination. Aeromexico is among the airlines bringing in the greatest number of passengers to the Puerto Vallarta-Riviera Nayarit area, for a total of more than 360 thousand through July of this year. The Riviera Nayarit welcomed 1,379,123 visitors from January through August 2017. Of these, 18% traveled by air, representing 248,242 passengers; 31.5%, or 78,197 travelers, were from Mexico City. Source: Riviera Nayarit Convention and Visitors Bureau Barometer.